Myth: Depression is not a wide spread issue in America. The new statistics for depression are in, and they may surprise you. Getting educated about depression is important. 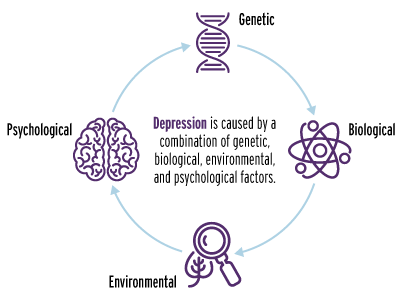 Take a look at these myths and facts to better understand depression, and how to approach it if you or someone you know is struggling. Myth: Depression is not a serious issue for kids and teens. Fact: Among children ages 12-17, 12.5 percent (link is external) had a major depressive disorder episode in 2015 according to the National Survey on Drug Use and Health.